I started to like alcoholic drinks at an early age. This might be related to my family culture. My grandparents, parents, and their siblings are alcohol lovers. They appreciate the taste and effects of alcohol, but they are not addicts. In my childhood, I had much fun having family dinners with parents, sometimes with uncles and aunts; because they liked to pair different types of alcoholic beverages with food, and I enjoyed listening to their opinions on food and alcohol pairing. After I grew up into an adult, I have had the opportunities to know and learn different alcoholic drinks. Pairing beverages with food has become one of my hobbies. I like beverages containing alcohol in the range between 12% and 25%, as I don’t want to knock myself out by the high ABV (alcohol by volume). What I enjoy the most is the smoothness in the palate. Therefore, Japanese Sake and western wines are my personal favourites. 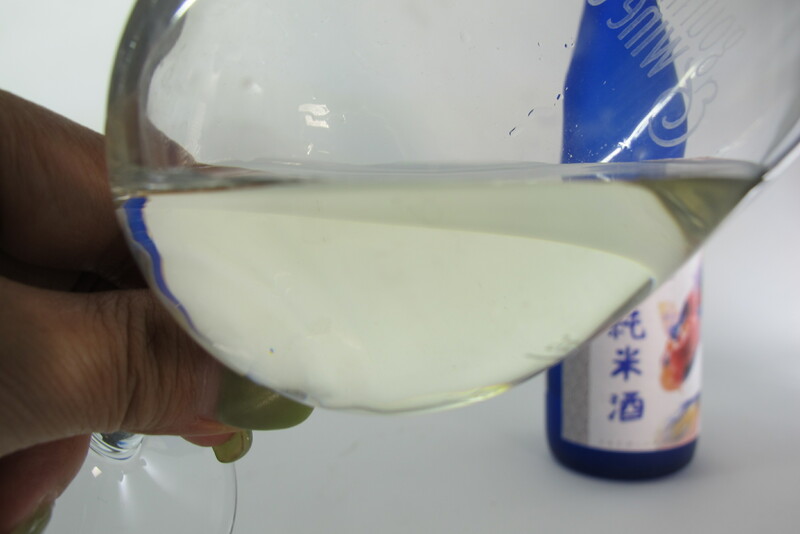 Sake usually has a moderate amount of alcohol, around 15% – 17% ABV (except Genshu which has not had water added before bottling; hence Genshu tends to be slightly higher in alcohol among all sake styles). Although Sake is a relatively strong alcoholic drink when comparing to wine, its alcoholic strength is closer to that of wine (12-14% ABV). All types of Sake are made with four ingredients: rice, koji, water and yeast. The taste is delicate and subtle. Acidity is not desired by Japanese Sake drinkers. In fact, the levels of acidity present in Sake are around one-fifth of the levels present in Western wine. I would say Sake is an extremely refined drink full of delicacy, and I am fascinated by it! Hence sometime ago I decided to develop my expertise in sake, and enrolled in different levels of Sake courses organized by the Wine and Spirit Education Trust (WSET). Not only did I have the opportunity to understand the production methods that affect the style, quality and price of Sake; but I also unlocked my family history! After I learned from the Sake courses about the benefits of Sake Kasu on human skin, I was excited to tell my mother what I have learnt because she dives into beauty products. Whereas, my mom didn’t get excited, and she said “I knew it for long.” I was very surprised. Later she explained, “my uncle used to work at the brewery owned by your Dad’s father. I noticed the change of his skin. It grew smoother and lighter after he’d worked there for one year.” It was my first time to know that my grand father, from my father’s side, was an owner of a brewery! My mouth was wide open in disbelief. Actually my grand father passed away before I was born. So I checked with my father about the previously unmentioned family history. My dad said that his father used to own and operate different types of businesses, including rice production, metal and scrap trading etc. The brewery, named “Victory Brewery”, was my grand father’s side business, which shut down soon after the World War II. This was an interesting piece of history to me. I had the feeling that the once existed “Victory Brewery” might be the earliest connection shaping my fate with Sake.